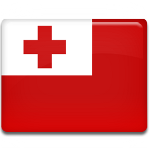 In the Kingdom of Tonga, the sovereign's birthday is a public holiday. The birthday of King Tupou VI is officially celebrated on July 4, although the king's real birthday falls on July 12. ʻAhoʻeitu, future King Tupou VI of Tonga, was born on July 12, 1959 to King Tāufaʻāhau Tupou IV. He was the third son and the youngest child, so he was not the first in the line of succession to the throne. King Tupou IV died in 2006 and was succeeded by ʻAhoʻeitu's elder brother Tupoutoʻa as King George Tupou V.
The new king appointed ʻAhoʻeitu his heir presumptive. Their middle brother could not succeed to the throne because he had married a commoner. In 2012, George Tupou V died of leukemia, and ʻAhoʻeitu ascended to the throne as King Tupou VI. Interestingly, coronation of Tupou VI did not take place immediately after his ascension to the throne. King Tupou VI and Queen Nanasipau'u were crowned on July 4, 2015 during the King's birthday celebrations. King's birthday celebrations in Tonga usually start on July 1 and last for about a week, but only July 4 is a non-working public holiday. Festivities include traditional dancing and singing competitions, parades, thanksgiving services, sports competitions, solemn ceremonies and other events and activities.